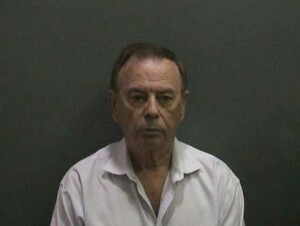 LAGUNA NIGUEL, Calif. – (February 24, 2015) – On Thursday, February 19, 2015, Orange County Sheriff’s Department investigators arrested Raymond Newton Baker, 72, Laguna Niguel, following a three week investigation into allegations he sexually assaulted a victim under the guise he was training her to use a medical device. The Special Victims Unit began an investigation in early February after the 29 year-old female victim reported to Orange County Sheriff’s deputies that Baker sexually assaulted her several times over a three month period. The victim alleged, “Ray Baker,” owner of Beautiful Image LLC located at 30012 Ivy Glenn, Suite 220, Laguna Niguel, sexually assaulted her under the guise he was training her to use the “soon-to-be-patented” cosmetic “Micro Current” device. Baker claimed to the victim the device was designed to reduce age lines, cellulite and promote weight loss. During the course of the investigation, Baker claimed 18 other females participated in his training program and failed for various reasons. Investigators believe there may be several other females who have had contact with Baker and fallen victim to his training program guise involving the medical device. Baker was booked into Orange County Jail for Penetration with a Foreign Object and Sexual Battery. He posted $50K bail and will be scheduled to appear in court pending charges being filed by the Orange County District Attorney. Anyone with additional information or believes they were a victim is asked to call Orange County Sheriff’s Department Special Victims Unit Sergeant Wade Walsvick at (714) 647-7418 or (714) 647-7000. Anonymous tips may also be submitted to Orange County Crime Stoppers at 855-TIP-OCCS (855-847-6227) or at occrimestoppers.org.